Every November, the SEMA Show takes over the car industry’s news. Known for offering some of the best after-market vehicles in the industry, the 2015 SEMA Show is the place to be if you want to see some outrageous cars—especially if you stop by the Mopar booth. 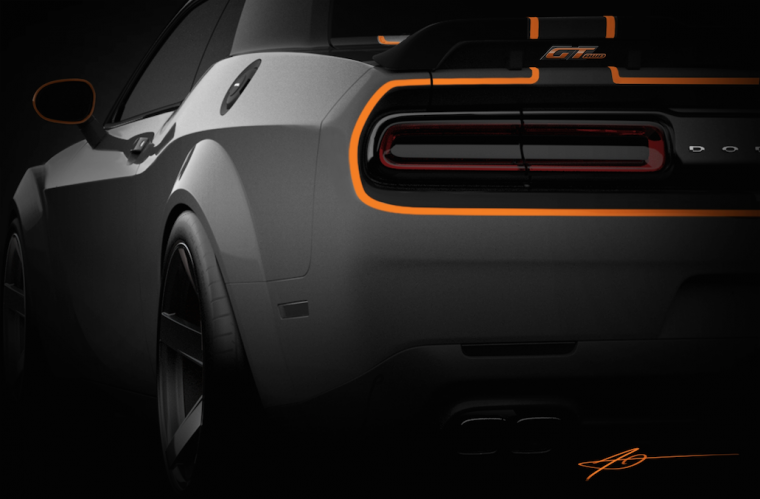 Recent teaser images released by Mopar show a Challenger with a “GT AWD” badge under the trunk’s spoiler. No other information about the all-wheel-drive Challenger has been released, but we assume it would be easy enough for the muscle car to reach production, since both the Dodge Charger and Chrysler 300 offer all-wheel-drive options. Along with the all-wheel-drive Dodge Challenger, Mopar’s teaser images show a Ram 1500 pickup truck, a Chrysler 300, and a Fiat 500X. The Ram 1500-based concept offers a HEMI engine and Rebel-design influences, while the Chrysler 300 concept has additional LED units, a customized grille, and matte blue paint. The final Fiat 500X concept car has bright blue accents.